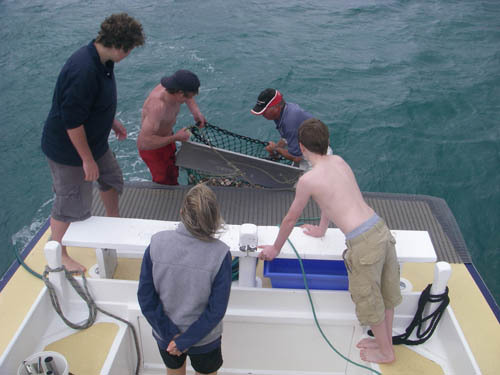 Fishing and diving is all year round, with services suited to individual group requirements using sustainable fishing practices. Groups are usually between 10-15 people otherwise too many tangles around boat; a share/ fish option is available for bigger groups. Bring your own fishing gear or we do have some boat rods available for hire. We supply fish bait, complimentary Tea/coffee. Catering can be pre-arranged if required for lunch etc. You are welcome to bring your own liquid refreshments. 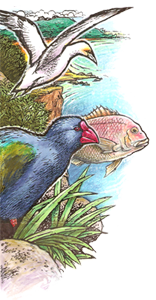 We operate from within the Kenepuru Sounds to the outer Pelorus Sounds including D’Urville Island /Crosilles Harbour / Port Gore areas. All options can be tailored to suit small or large groups with time frames flexible and adjusted to your requirements. 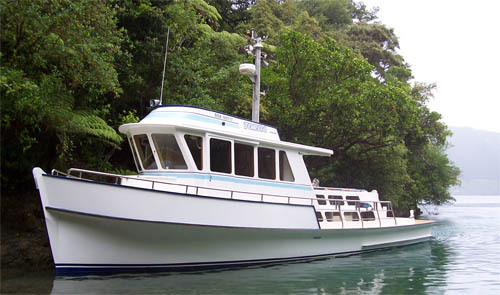 Fishing in the Marlborough Sounds with Pelorus Tours Charter Boats Marlborough Sounds New ZealandA 47 ft traditional kauri Launch powered by a Gardner engine, with a 47 passenger survey, equipped with modern facilities of / Toilet, shower / small oven / microwave / hot & cold water / modern navigation systems / radar/ chart plotter. 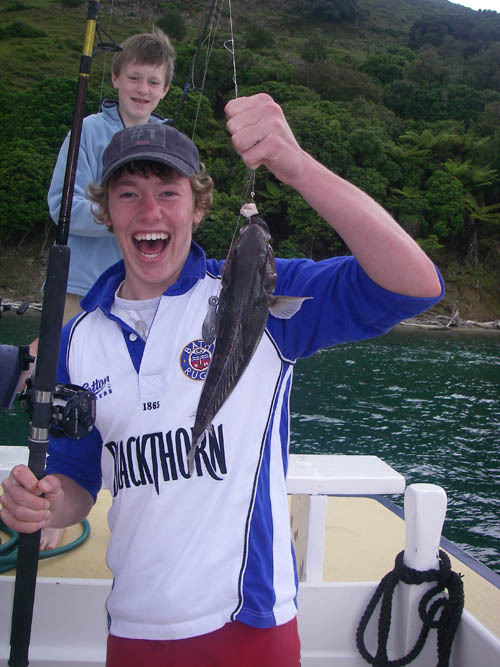 Fishing and Diving are targeted to suit all groups’ individual requirements. Aboard is a Live Fish Tank/ Hydraulically driven Dive Bottle compressor / Dive Platform / Fridge / and Ice Box. 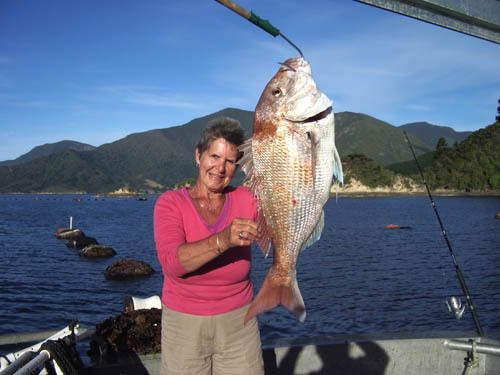 Accommodation can be arranged in various lodges in the inner / outer Pelorus Sounds for weekend charters groups or live aboard is available for groups of up to 8 people. 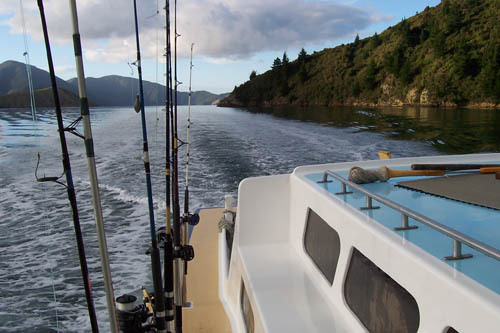 Marlborough Sounds Fishing with Pelorus Tours Charter Boats New ZealandA 45 ft Alloy vessel with 15 ft beam, powered by a 375 hsp John Deer engine with a 50 passenger survey. Has a large flush deck with hydraulic lifting gear suited to scallop dredging and three driving stations, upstairs, outside / inside. 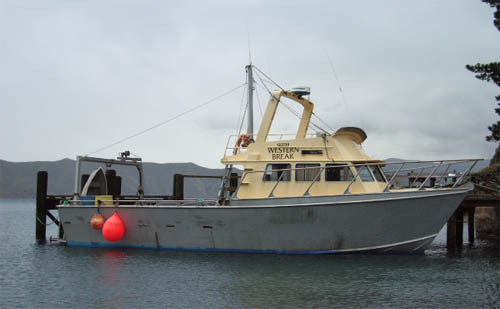 Fully equipped modern navigation systems, chart plotter, galley with fridge, small oven, and cooking utensils. Toilet, shower facilities, dive platform suited to small or large Fishing / diving groups. 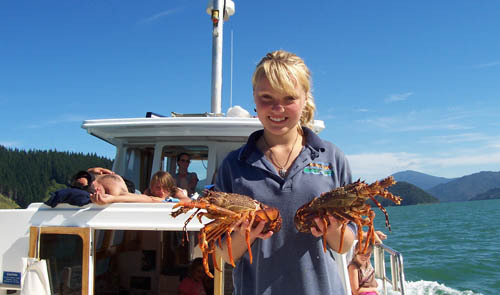 Suitable for day trips or live ashore accommodation charters.